Sand Casting Tilting Disc Check Valves are used to prevent reversal of flow in horizontal or vertical pipe lines. These Sand Casting Tilting Disc Check Valves can be used for upward flow only. The Sand Casting Tilting Disc Check Valves, offered by us, are similar to Swing Check valves. 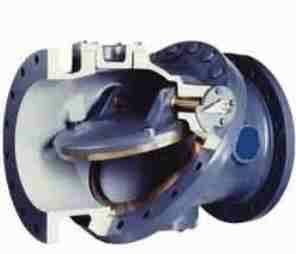 In most installations of Sand Casting Tilting Disc Check Valve, slamming is minimized upon reversal flow. So, noise and vibrations are reduced. We are a prominent Sand Casting Tilting Disc Check Valve Manufacturer, Exporter and Supplier from India.